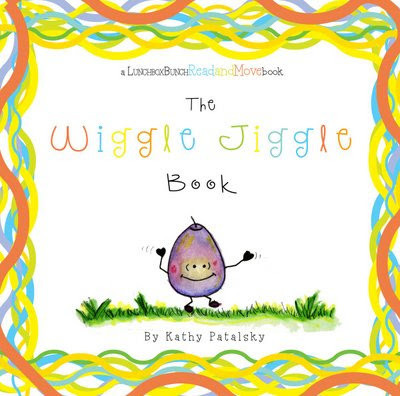 I am excited to announce that The Wiggle Jiggle Book won an Honorable mention in the Children's book category at the 2008 Hollywood Book Festival! Each year the Hollywood Book Festival draws over 30,000 attendees. Copies of The Wiggle Jiggle Book will be available for purchase soon on out website!! Check back or email us for the official on-sale announcement. The daytime festival for the 2008 Hollywood Book Festival will be held at The Grove at Farmers Market, the premiere shopping, entertainment and dining destination in the heart of Hollywood. The event will be presented in conjunction with Barnes & Noble Booksellers. The days activities include author readings, celebrity book signings, panels on the Hollywood/book publishing connection, live music, clowns doing face painting and balloon animals, and all the energy that’s part of a major entertainment event. • 3:00 p.m. ** PANEL DISCUSSION: Writing About Hollywood, With and Without Cooperation. Panelists include Mike Walker of the National Enquirer and author of Get Real; Henrietta Tiefenthaler, author of the Anna Nicole Smith tell-all Train Wreck; Carrie Borzillo-Vrenna, author of Eyewitness Nirvana and a former People magazine writer; and Eric Dubin, celebrity attorney and author of The Star Chamber. Panel will be moderated by former Hollywood Reporter editor-in-chief Alex Ben Block, author of "Outfoxed: The Inside Story of America's Fourth Television Network" and "The Legend of Bruce Lee"
• 4:00 p.m. Entertainment writer David Rensin, reading from his new biography, All For A Few Perfect Waves: The Audacious Life and Legend of Rebel Surfer Miki Dora, who ruled the Malibu surf crowd in the 50s and 60s. LOS ANGELES (May 27, 2008) _ The 2008 Hollywood Book Festival has named the first celebrity appearances for its annual daytime festival celebrating books that deserve greater recognition from the film, television, game and multimedia communities. The event will be held on Saturday, July 12 at The Grove at Farmers Market, one of the premiere entertainment, shopping and dining destinations in Hollywood. All activities are free and open to the public. Presented in conjunction with Barnes & Noble Booksellers, the Hollywood Book Festival will feature author readings/signings, book publishing panels, live music, book vendors, clowns offering face painting and balloon animals and the bustling ambiance of the Grove's center square. • *** Entertainment writer Carrie Borzillo-Vrenna, appearing in support of her new book "Cherry Bomb: The Ultimate Guide .